One of Veil’s core values is offering people a solution to concerns with their skin’s appearance. Adam’s story embodies this perfectly. If you follow us on social media or receive our newsletters, last month you’ll have heard about our exciting new project in collaboration with makeup artist Gemma Rimmington, photographer Natalie Pluck and model Gianni Casagrande. After the photoshoot, Gemma shared a story with us regarding Adam, one of our models — and it really caught our attention. The reason this scenario means so much to us is that it embodies what Veil is all about. Our Cover Cream was created in 1952 by pioneering plastic surgeon Thomas Blake to hide post-operative scars. Offering people a way to effectively conceal skin imperfections or conditions continues to be one of our core values. Confidence is a big thing for us all. While we all know that it’s what’s on the inside that counts, we live in a world that often aims to achieve perfection and judges people on their looks. Physical ‘imperfections’ not only attract unwanted attention but also distract from who we are as people. 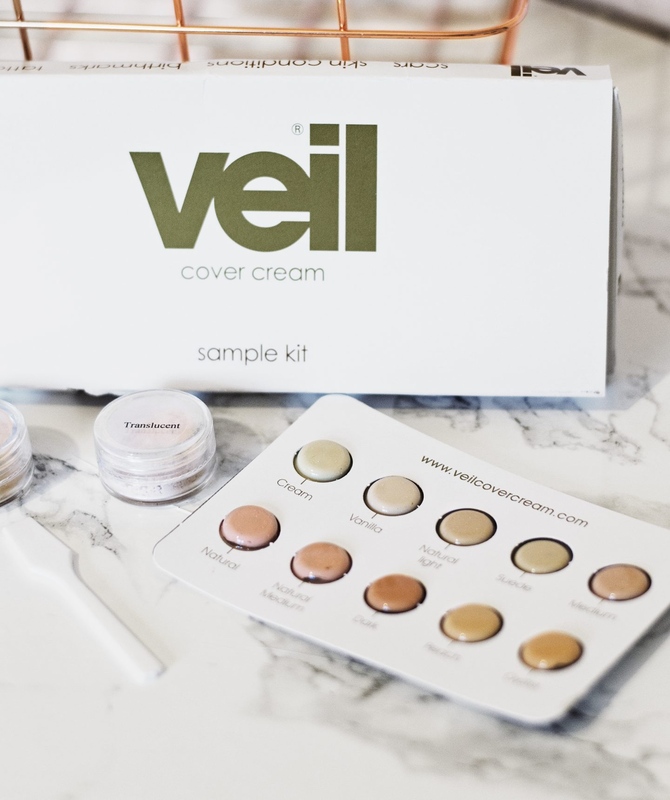 Veil Cover Cream offers a way to cover up perceived flaws and gives relief from skin concerns. How everyone wishes to present themselves to the world is their own unique and individual choice. 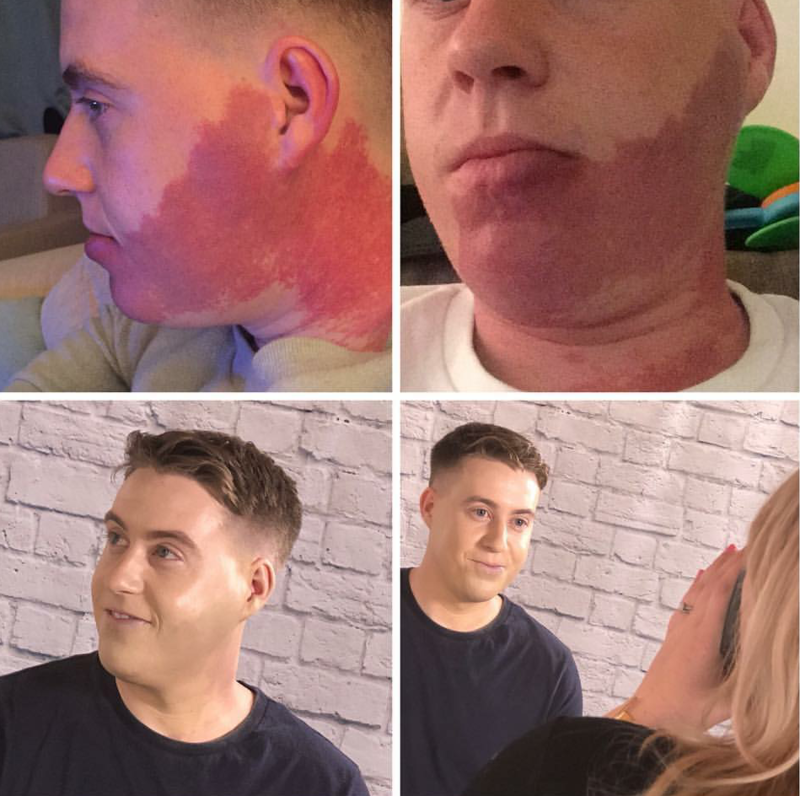 We’re proud to provide people with the opportunity to disguise skin conditions or imperfections that they would rather be without. Maybe you’re like Adam and have lived with a birthmark from birth? Perhaps you developed vitiligo or psoriasis? Maybe you regret getting tattoos, or have scars that tell stories you’d rather keep private? Whatever you want to conceal, our products give effective and durable cover that makes your skin’s appearance your choice. Has Veil Cover Cream allowed you to be more confident with your own skin? Share your story with us in the comments or on social media, we’d love to hear from you! 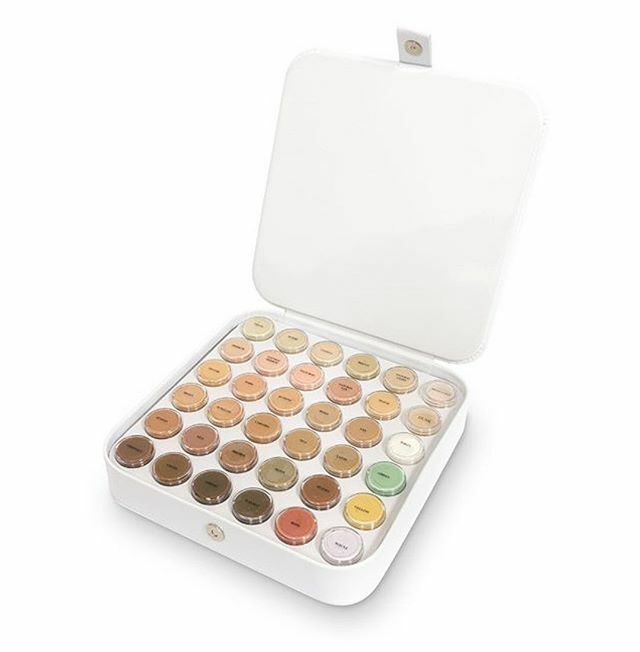 Curious about our Colour Matching Kits? You’ve come to the right place. If you’ve visited our website or follow us on social media, you’ll have heard of our Colour Matching Kits (also sometimes called Sample Kits). 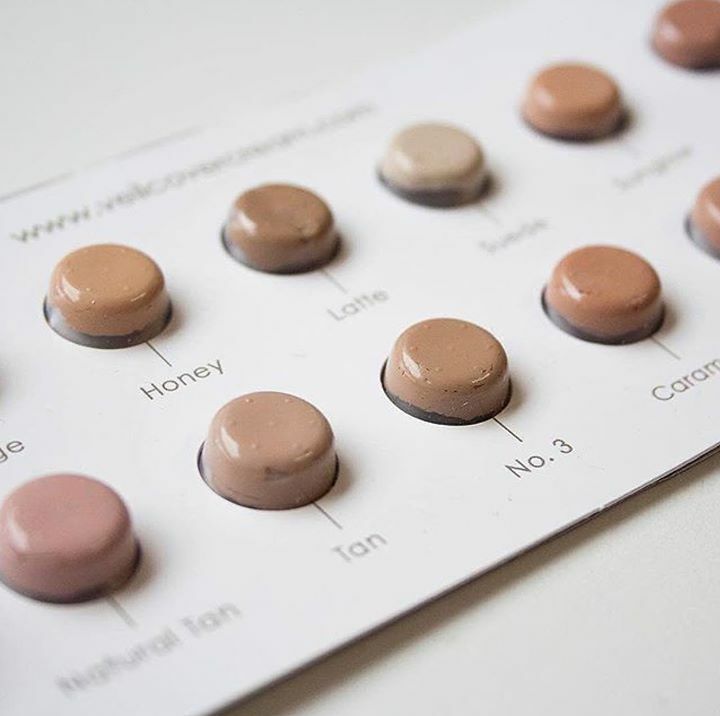 These kits are available in Light, Medium and Dark shades to help you perfectly match your skin tone. We even have a handy little tutorial on colour matching right here. Composed of a blister pack of several shades of our Cover Cream and our two Finishing Powders, our Colour Matching Kits introduce you to a range of shades. This allows you to experiment with colours, which saves you from purchasing a pot of Cover Cream that doesn’t suit your skin tone. And if you have any questions or need any advice, contact us by phone, email or social media – we are always happy to help! The great thing about our Colour Matching Kits is they’re so versatile you can really be creative with them. Use a paler shade for concealer, a darker shade for contouring and maybe even use one as a blusher – there are so many possibilities! Why not try mixing some shades together? Mix and match different tones to make one that’s absolutely perfect for you. If you like this idea and fall in love with several tones, why not purchase our Pro Kit? It contains 36 of our most popular shades, enabling you to experiment to your heart’s content. Pro Kit – available now in our shop! 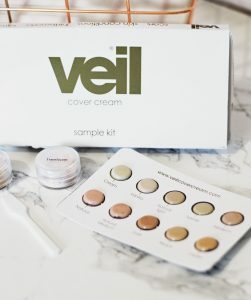 Oh, and have we mentioned that our Colour Matching Kits come with a voucher for £5 off your next Veil purchase over £19? What’s not to love? We love to hear your thoughts about our products. This review of our Sample Kit by blogger Alice-Christina is a must-read. Once you’ve tried our products, why not share your thoughts? Write a blog post or get in touch on social media, we can’t wait to hear what you think! Have you tried our Colour Matching Kits? Let us know in the comments!